There is a mandatory additional charge for end of stay cleaning. 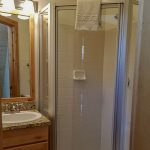 Cost varies according to unit size. 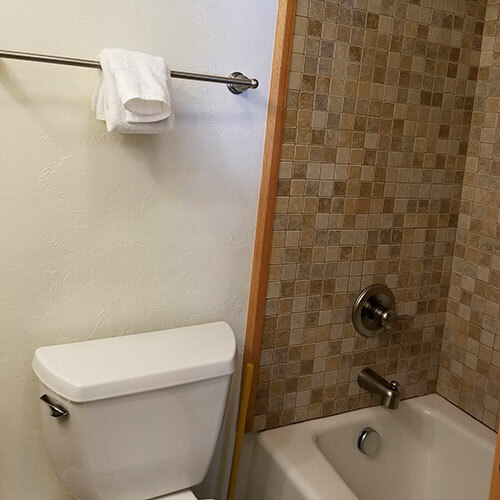 This cost is not included in the rental cost. 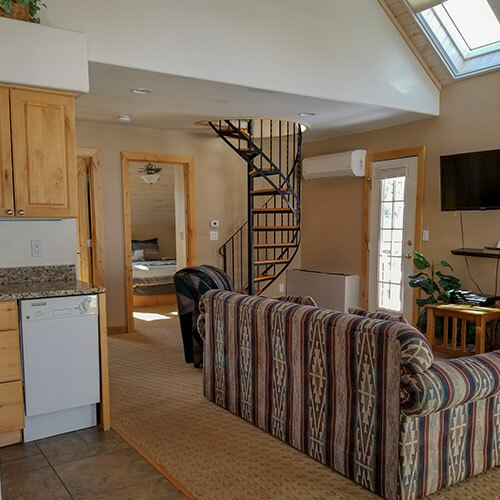 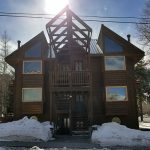 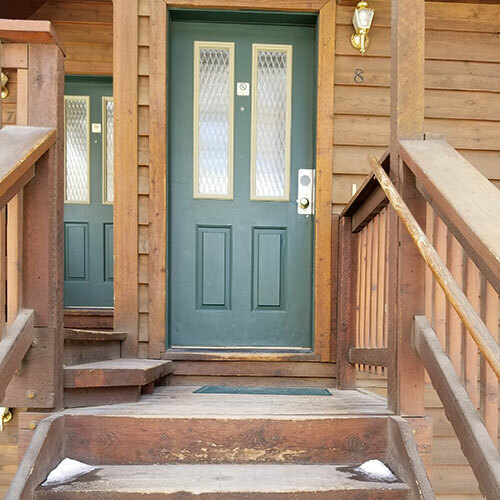 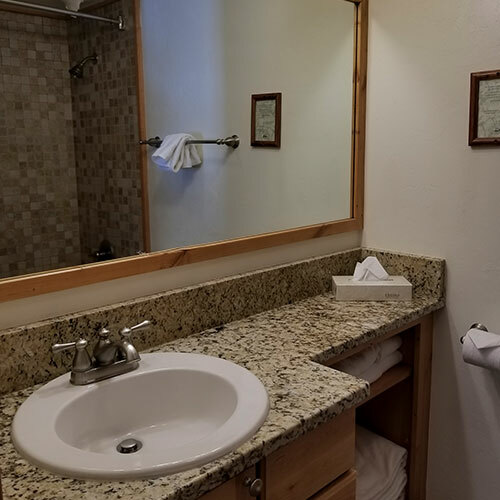 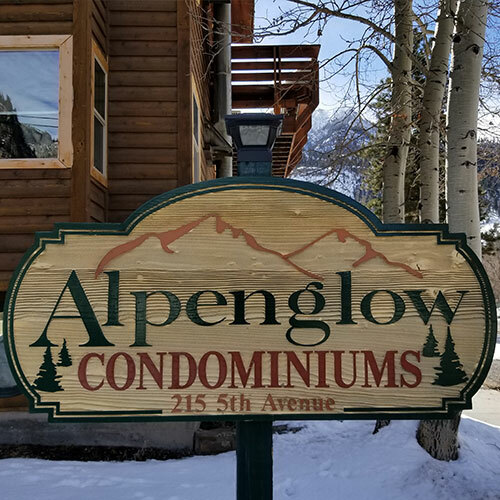 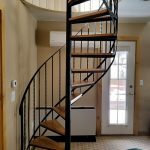 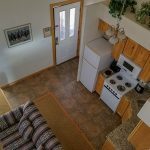 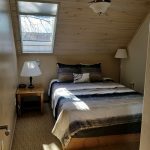 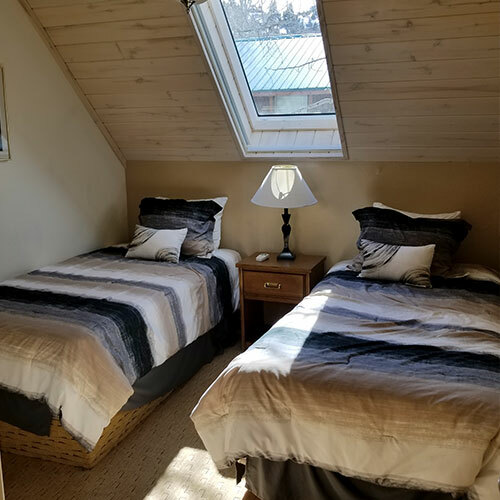 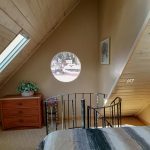 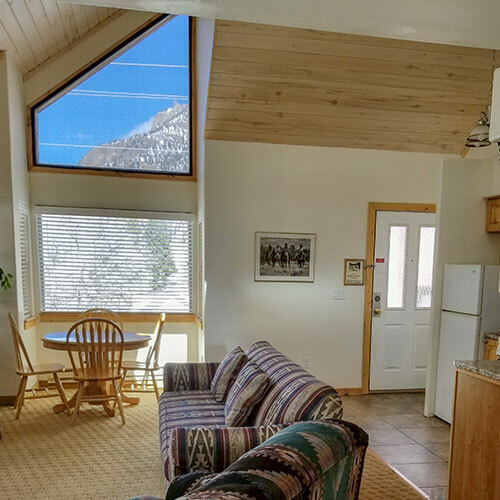 Three-bedroom, two-bath condo located in the Alpenglow Condominium Complex on the corner of 5th Avenue and 2nd Street in Ouray, Colorado. This is a bi-level unit that has a flight of stairs leading up to the front door. The main floor has two bedrooms, a fully equipped kitchen, living area, gas fire place, dining area and a bathroom with a tub/shower combo. 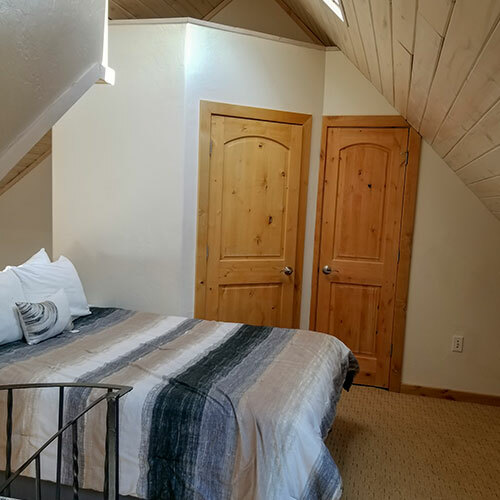 The first bedroom has two twin beds and the 2nd bedroom has a queen size bed. 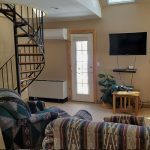 There is small deck that can be accessed from the living area. 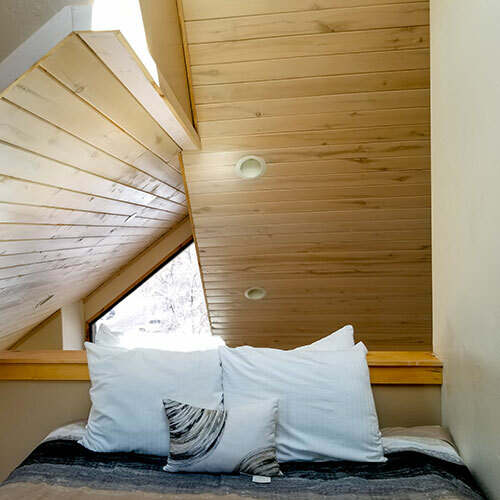 The third “loft” bedroom is accessed via a spiral staircase and has a queen bed and a bathroom with a shower. 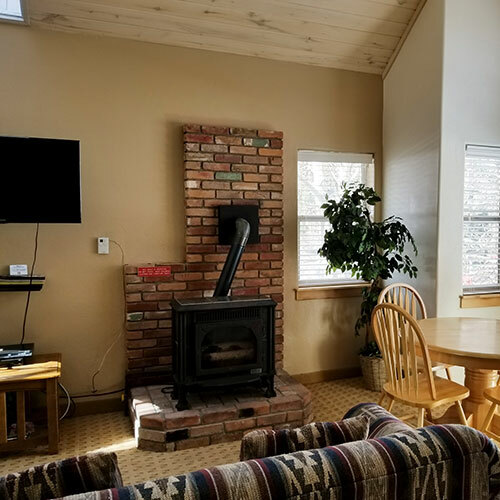 This unit has a fireplace and refrigerated air on the main floor. 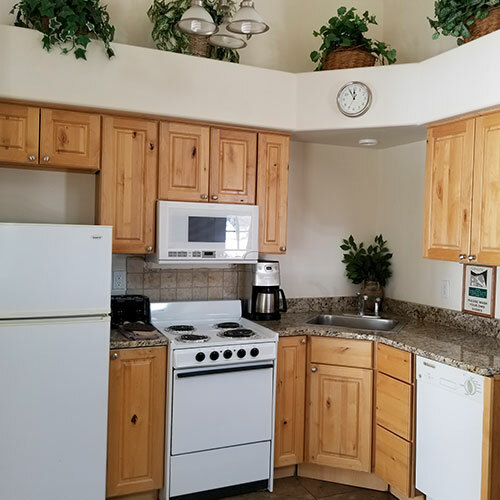 Free high-speed wireless internet and DISH Network TV are available for guest use. 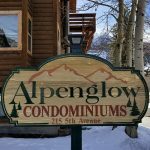 There is a coin operated laundry facility in the center of the Alpenglow complex. Can sleep up to 6 people. NOT pet friendly. There is a mandatory one time cleaning fee of $45 for your entire stay. For important rental information, please see our “Rental Policies” link. 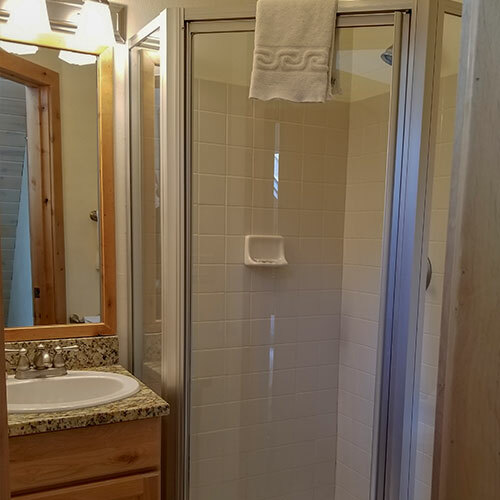 Located in the “Quick Links” section on the bottom of the page. The link includes FAQ’s on deposits, locations, general information.